Please don’t hesitate to contact us if you cannot find a specific item. Paypal: You do NOT need a Paypal account to pay. Your card payments are made to the Maidenhead Heritage Centre’s Paypal account. UK shipping: A shipping charge of £3.75 applies to one or more items, unless it is priced inclusively. A unique gift, suitable for everybody from 9 to 90. With the replica flight controls and wide screen pilot view, this is the most sophisticated Spitfire simulator available to the general public. £1 will be added for postage. 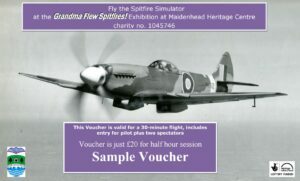 Read more details about the Spitfire simulator here. A pioneering aviator and advocate of women’s equality, Amelia Earhart was, and continues to be, an inspiration to people the world over. 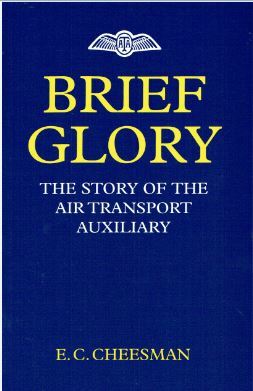 This book was intended only as a memory aid for use after the pilot has made himself familiar with the particular type of aircraft by careful study of the A.T.A Handling notes or Air Ministry handling notes on the type. But if you had to fly a type of plane you had never seen before, Ferry Pilots Notes would get you up and down safely. 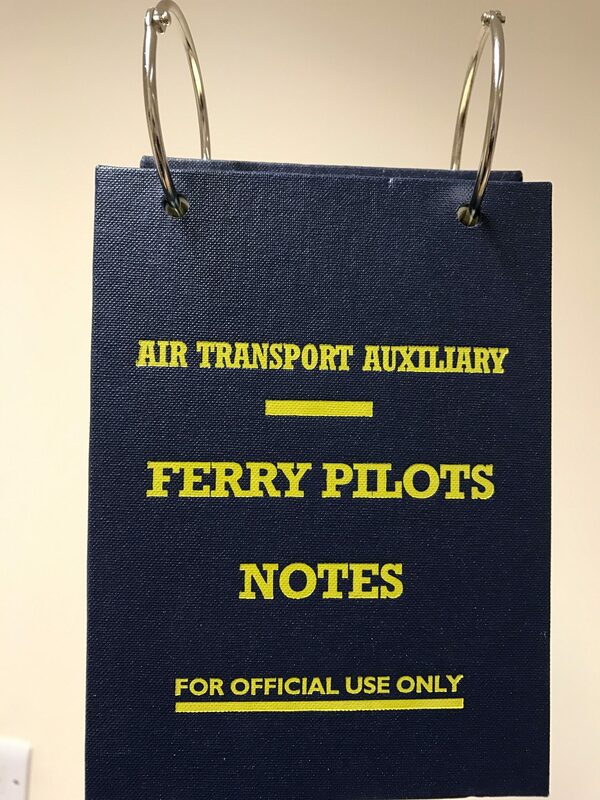 This is a facsimile edition based on a set of original Ferry Pilots Notes. 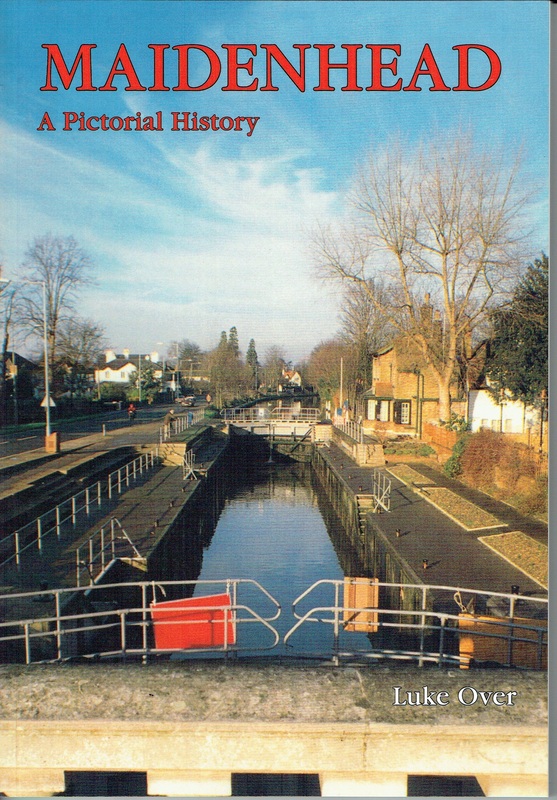 Re-printed exclusively by the Maidenhead Heritage Trust. First published in 1946 and reprinted in 2012. “The men and women of Air Transport Auxiliary were civilians in uniform who played a soldier’s part in the Battle of Britain and who performed, throughout the war, a task of supreme importance to the R.A.F. They brought the airplanes to the squadrons. In foul weather and fair, by night and day, they kept the ferry moving.” The Right Hon. The Lord Beaverbrook. 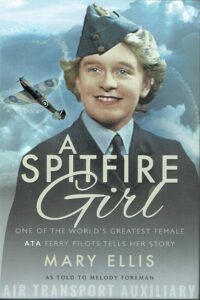 A Spitfire Girl – one of the world’s greatest female ATA (Air Transport Auxiliary) Ferry Pilots tells her story. 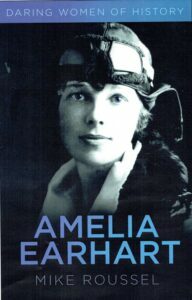 In this biography the woman who kept in the background during her ATA years and left the glamour of publicity to her colleagues, finally she reveals all about her action-packed career which spans almost a century of aviation, and her love for the skies which, even in her nineties, never falters. From Tiger Moths to Hurricanes and Spitfires, from Wellington Bombers to post-war jets, Mary’s desire to take to the skies has never faltered. 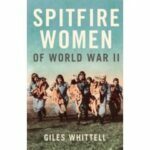 This is the incredible true story of a wartime sisterhood of women pilots: a group of courageous pioneers who took exceptional risks to fly Spitfires, Hurricanes and Lancasters to the frontline airfields of World War II. The women pilots of Air Transport Auxiliary came from all countries and backgrounds. Although not allowed into combat, they demonstrated astonishing bravery in their supporting role: flying unarmed, without radios or instruments, and at the mercy of the weather and enemy aircraft, they delivered battle-ready planes to their male counterparts, the fighter pilots of the RAF. The story of these remarkable women pilots – among them Amy Johnson and Lettice Curtis –is a riveting account of women in wartime, and a fitting tribute to their courage, skill and sacrifice. Jackie Moggridge was just nineteen when World War Two broke out. 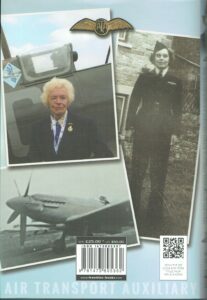 Determined to do her bit, she joined the Air Transport Auxiliary. Ferrying aircraft from factory to frontline was dangerous work, but there was also fun, friendship and even love in the air. At last the world was opening up to women… or at least it seemed to be. 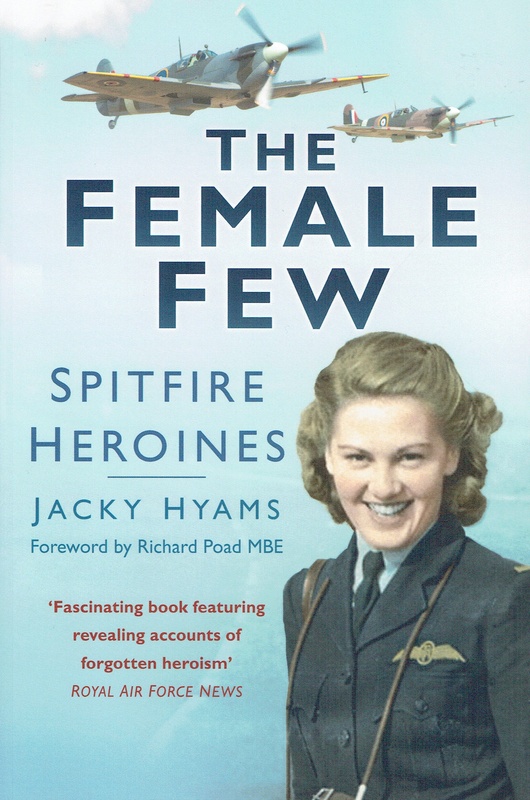 From her first flight at fifteen to smuggling Spitfires into Burma, Jackie describes the trials and tribulations, successes and frustrations of her life in the sky. 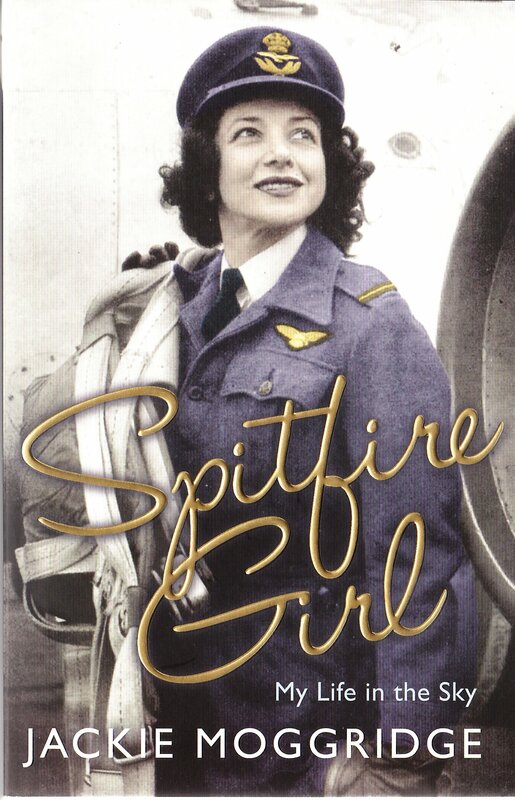 About the author Jackie Moggridge joined the ATA during WW2, receiving a King’s Commendation for Services in the Air. After the war she continued to fly professionally whilst raising her two daughters. She died in 2004; her ashes were scattered from a Spitfire. The Female Few OUT OF STOCK!! 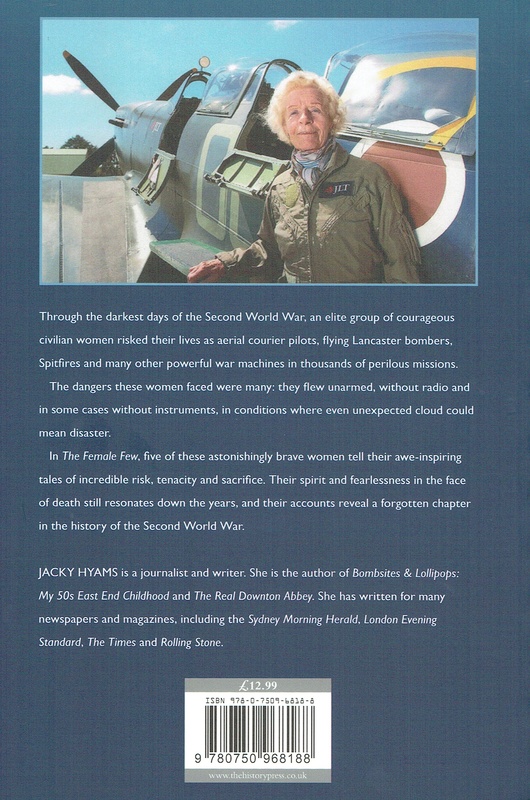 Through the darkest days of the Second World War, an elite group of courageous civilian women risked their lives as aerial courier pilots, flying Lancaster bombers, Spitfires and many other powerful war machines in thousands of perilous missions. The dangers these women faced were many: they flew unarmed, without radio and in some cases, without instruments, in conditions where even unexpected cloud could mean disaster. In The Female Few, five of these astonishingly brave women tell their awe-inspiring tales of incredible risk, tenacity and sacrifice. Their spirit and fearlessness in the face of death still resonates down the years, and their accounts reveal a forgotten chapter in the history of the Second World War. 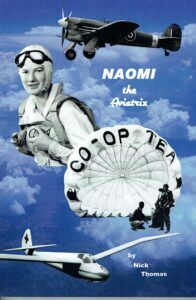 Naomi parachuted in an Air Circus, learned soaring in prewar Germany, and flew military aircraft during WWII. This book arranges her diary and letters so you can read about her adventures in her own words. For 8-10 year olds. 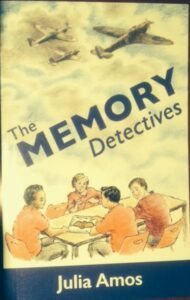 When dementia strikes an elderly lady, four young friends succeed in unlocking the secrets of her past. 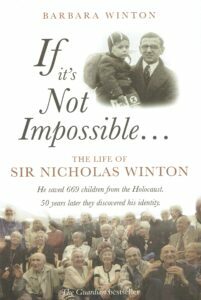 An exquisitely touching story about a little known part of World War 2 history. Spoiler alert: The ATA figures largely. 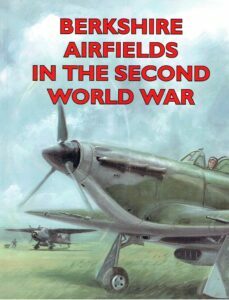 Berkshire began the Second World War in 1939 with virtually no military airfields. However, this quickly changed and a massive building programme was soon underway, initially intended to provide training facilities for bomber crews. The line from London to Maidenhead was opened in 1838 and, by March 1840, the railway had reached Reading. 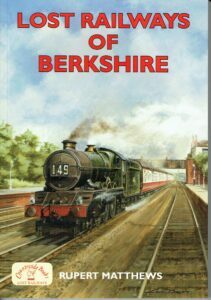 By December, the workmen were out of Berkshire and driving west. The whole line through to Bristol was completed on 30th June 1841. Maidenhead lies on the west bank of the River Thames and form part of the county of Berkshire. One of the largest settlements in the area, Maidenhead has a rich and fascinating history. Recorded as Ellington in the Domesday Book, the town’s present name refers to the ‘new warf’ or ‘Maiden Hythe’, on the riverside. Upon the coming of the Great Western Railway, the town underwent significant expansion. Today, Maidenhead is a thriving town with a population of 78,000 people. 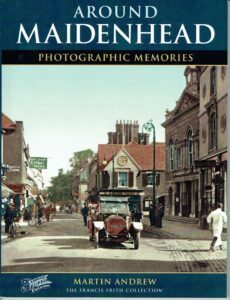 The photographs in this book traces some of the many ways in which Maidenhead has changed and developed over the last century. ISBN: 978 1 8607 7666 3. Originally published in 1990. 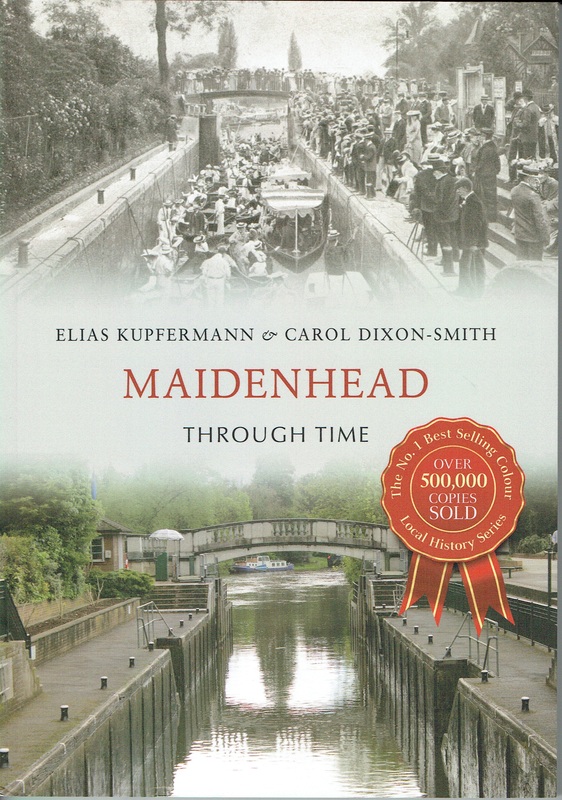 The Maidenhead Heritage Centre manged to convince ‘The History Press’ to do a re- print in 2016. About the author (1931 to 2015) Luke Over was a research historian and an historical journalist. He studied archaeology at London University and for 25 years worked on and directed excavations in various parts of the country, but mainly for his native Berkshire. He was born and educated in Maidenhead, where he was regarded as the local historian. 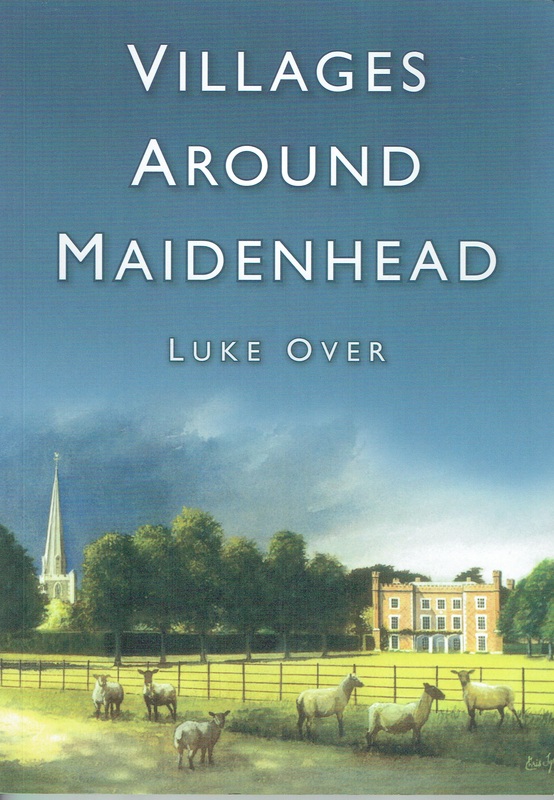 He contributed some 90 major articles on local history to The Maidenhead Advertiser, and wrote many books and booklets on aspects of the area including his popular Story of Maidenhead (1984). He also produced numerous journal and magazine articles, reports, short stories, plays, and librettos for five three-act musicals. His other interests were ornithology and drama. ISBN: 978 0 7524 5289 0. Complied with the help of The Maidenhead Heritage Centre. Today, most of our large towns and cities are surrounded by a dense cluster of satellite settlements. These outlying villages are hardly self-reliant, and depend on the major settlements for employment, services and administration, yet most will pre-date the main town. The Maidenhead area is no exception to these patterns of urban development. The town itself came into being no earlier than the thirteenth century, yet many of the surrounding villages and manors were well-established by the Domesday Survey of 1086. A County, Town and Theme book illustrated with photographs from the world-famous Francis Frith Collection. 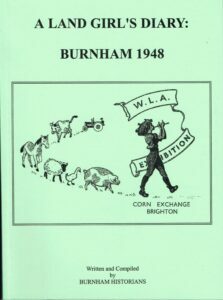 The work of the Women’s Land Army during and after the Second World War received little official recognition. In 1948, in Burnham, Buckinghamshire the Burnham Grove Estate benefited from the help of several girls, one of whom recorded her daily work and leisure activities. 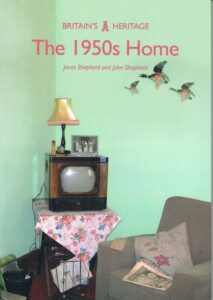 Doreen’s diaries have been reproduced in full together with background information about the Women’s Land Army, the Clifton-Brown Estate where she worked, and the Burnham area in 1948. Since it was first broadcast on British television in 1997, Midsomer Murders has become one of the most-beloved detective dramas on television, instantly recognisable for its attractive backdrop at the heart of rural England. 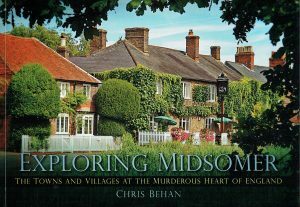 The real towns and villages of “Midsomer” are situated in the Chilterns, the Thames Valley and the Vale of Aylesbury, all areas of outstanding natural beauty. This beautifully illustrated book reveals the many stunning key locations for this popular show. He saved 669 children from the Holcaust. 50 years later they discovered his identity. 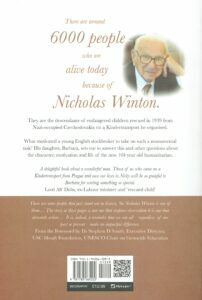 There are around 6000 people who are alive today because of Nicholas Winton. 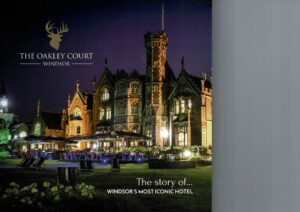 The book aims to provide, in as much detail as possible, a timeline of Oakley Court, from its earliest days right up until its most recent guise as a luxury hotel.